Hey guys! So, it’s been brought to my attention that this whole concept of planning your own wedding is being misunderstood to mean not getting any help. Let me be the first to tell you that THERE IS NO WAY for you to plan your own wedding and not have help. That has never been nor will ever be advice that you will get from me. When I say plan your own wedding, I mean, make your own decisions, go through the steps of interviewing and booking your own vendors, and tapping into your own creativity so your vision can become a reality. I don’t mean not seeking help when you need it or being a DIY bride. Now if you want to be a DIY bride, that is totally fine, but you don’t have to be a DIY bride to plan your own wedding. You can hire a florist to take care of your flowers, a stationer to design your invitations, and a wedding coordinator to manage your wedding day. As a matter of fact, if it’s in your budget, I highly recommend these things. As I mentioned earlier, the art of being your own wedding planner doesn’t require you to do everything on your own. It only requires you to be organized in the decisions that need to be made and to be timely in making those decisions. So, if some of those decisions include choosing vendors to make your vision a reality, then that is exactly what you should do. Stop letting your family and friends guilt you into thinking that because you decided to plan your own wedding that you should be making your own centerpieces, printing your own invitations, plucking your own flowers, and decorating your venue. That is not what planning your wedding entails. Let’s use this as an example: If you were to hire a wedding planner, do you think they would be doing all those things? I’ll answer that question for you, NO THEY WOULD NOT, with the exception of decorating your venue (I’ll address this further in a minute). They would hire vendors to take care of those things. So why would anyone expect you to do these things? They shouldn’t, and if you are criticized for hiring vendors to help make your big day special, educate these critics on what wedding planning really is or simply ignore it. You know what you want and you know what it will take to make it happen, so make your decisions and keep it moving. Now that I’ve addressed that, I want to clarify one other thing. When I say, “Of course you can plan your own wedding,” I don’t mean you can coordinate your own wedding. I actually recommend that you don’t coordinate your own wedding. I personally believe that you should try to incorporate room in your budget to hire a wedding coordinator to handle the logistics of your wedding day. Your wedding day will have a lot of moving parts and it will be damn near impossible for you to oversee all those parts, physically and mentally prepare to walk down the aisle and remain calm and stress free while doing it. You also don’t want your mom or bridesmaids to take on this task because they should be there for you as your support. So, I recommend that you meet with and hire a wedding coordinator to implement everything that you have planned and to execute your vision. Let me be very clear, a wedding coordinator will not be working with you just on your wedding day. Most coordinators will need to meet with you at least 8 weeks before your wedding to begin preparing for all the requirements that you expect to be executed on your wedding day. So, decide early on in your planning process to hire a coordinator and be prepared to have all your ducks in a row and organized at least 2 months beforehand to ensure that your coordinator can do her job seamlessly. I am very passionate about couples having the right information when they enter this phase of their lives and I hate when I hear all this negativity and bad information coming from people who always seem to have an opinion on what everyone else should be doing. I’m here to encourage you and cheer you on during this journey and I will do whatever I can to dispel the nay-sayers and critics out there that think you should just do what everyone else is doing. You made this decision because you desired the experience of planning your own wedding. So, stay positive and confident in that decision and plan your wedding the way you want to plan it. 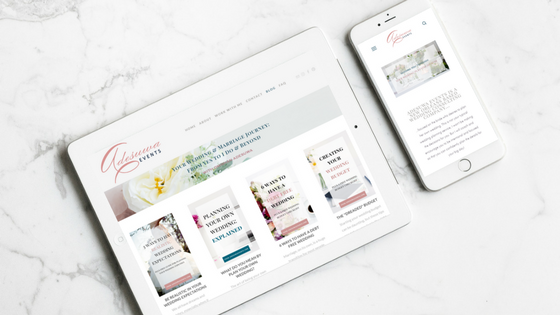 If you’ve done your research and implanted the right tools and strategies, I have no doubt that you can successfully plan your wedding and WOW everyone with the result in the process. I’M ROOTING FOR YOU. YOU CAN DO THIS!